2 Weeks left to the official start! - syril-es Webseite! 2 Weeks left to the official start! Only 2 weeks, and it finally starts! My overland trip from Europe to South America! And the best, I will not leave any footprints left. This means it will be a CO2 neutral trip! You will read later how this works. But planes are for sure not part of my concept, I will only travel by land and water... 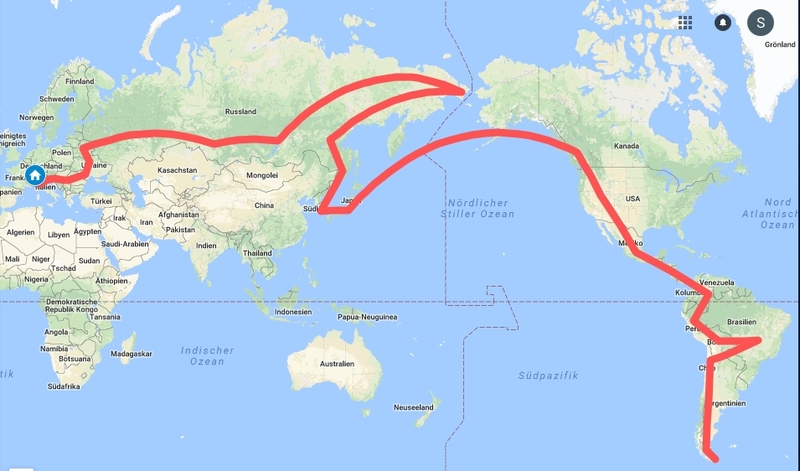 Here allready a very simplified map how my trip could look like. As allways on such unpredictable trips, the routh plan can change at any moment.